January 2016: John Kerry Excludes Jewish Victims from Paris Attack Anniversary! On January 7, 2016, The U.S. Department of State issued a statement in which Secretary of State John Kerry wanted to recognize the victims of the Paris attacks of January 7, 8, 9, 2015: “On the one-year anniversary of the January 7-9, 2015, attacks that took the lives of 17 people, we honor the victims of this tragedy and share the sadness of their loss. Their legacy endures as a challenge and inspiration to all of us. Charlie Hebdo continues to publish, and journalists around the world continue in their essential mission to tell the stories that people everywhere need to hear…. Just as we tackle today’s most daunting challenges side by side, the United States and France will always stand together.” There was no mention of the police officer or the four Jewish victims. The whole tragedy was bundled under the Charlie Hebdo massacre. For John Kerry not to mention the Jewish victim was a diplomatic faux pas at best and antisemitism by omission at worst. It would have been easy to say “12 members of the Charlie Hebdo staff, one police officer in the line of duty and four Jewish people shopping in a kosher Market.” By generalizing his statement, he ignored the French Jewish victims and offended them. I wonder…. was there any other group he cared not to offend by leaving the Jews out of his statement? February 2016: Is Germany Heading for the 1930’s Again? There is no real consensus within Greater Europe as to how to handle the flow of migrants. Some Balkan countries like Macedonia, Serbia, Croatia and Slovenia are now closing their borders. Hungary closed its southern border and even sent armored vehicles to protect it. Sweden on the other hand, like many European countries has had an “open borders” policy allowing for a heavy flow of mostly unchecked refugees. Of course, Germany has been the dream come true for hundreds of thousands of “migrants.” This dream come true is now a real nightmare for Europe in general and Germany in particular. Countries like Sweden and Germany are in big trouble, and the kind of trouble they have allowed and continue to allow cannot be contained within their respective borders, at least not under the current conditions. So they are now controlling their borders and possibly closing them. Well, it’s about time, but could it already be too late? Is Germany subconsciously suffering from Post-holocaust guilt? It took decades for the German people to get over the Nazi Holocaust. 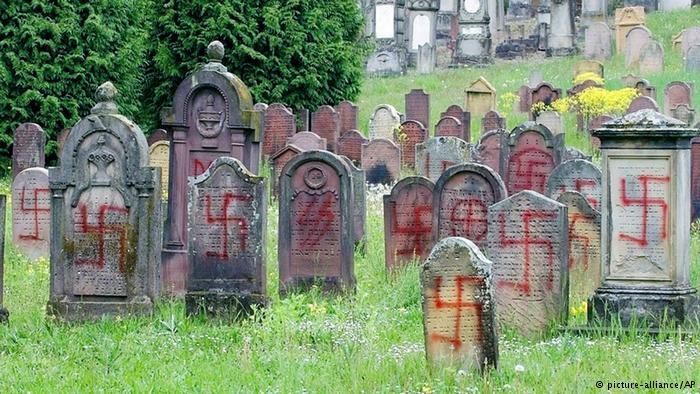 Today, Germany has strong laws against hate crimes and anti-Semitism, even if they might not all be enforced. Obviously, the last thing that Germany would want to be accused of is a repeat of its treatment of human beings during WWII. Thus the pendulum swings opposite side the Nazi ideology. Good for them, but be careful because there is bad in both extremes! Germany has been trying so hard to distance itself from the 1930s that it is blinded by a crisis that could put them right back there! March 2016: Mourning for Brussels or Bashing Israel? On March 22, 2016 the world witnessed the deadliest terrorist attack on Belgian soil. The concerted bombings at the Brussels Airport and the Maalbeek Metro station claimed the lives of over 30 people and injured over 300. In the midst of a tragedy like this, people–Religious or not, Belgians or not– seem to cling together in a sobering demonstration of solidarity. Apparently, this is true for all people except those who are pro-Palestinian. In a despicable display of hatred, we have seen several people come to vigils and either tear or remove Israeli flags to only cover them with a Palestinian flag. What in the world does this have to do with the Islamic State attacking Belgium? Absolutely nothing! At a time when the world mourns the innocent victims of yet another terrorist attack, pro-Palestinian people cannot even stomach the mere sight of and Israeli flag at a peace vigil for the Brussels victims. 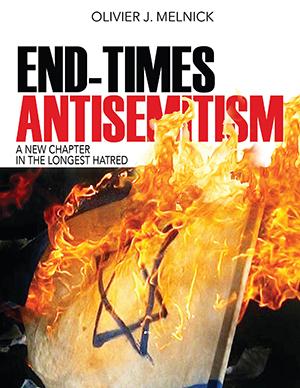 In some cases, they will even go as far as burning the flag and chanting anti-Israel slogans. What is even more disturbing is the fact that these acts don’t seem to phase anyone in the media. A woman in a Hijab and wearing a Palestinian scarf is seen tearing an Israeli flag apart and then covering the remains with the Palestinian flag as people all around her watch in silence. Apparently, Israel bashing now supersedes any international display of unity in honor of terror victims. April 2016: I am still looking for Palestinian relief workers! On Monday April 18, 2016, a bus exploded in south Jerusalem, making it the first major explosion of that type since the Second Intifada. Twenty-one people were injured in the process. This newest act of terrorism was welcomed with cheers from many Palestinians on the streets. Of course, you would be hard pressed to find any denouncing of the Palestinian jubilation from the United Nations. Imagine for a moment that Israel would be the one celebrating the death of Palestinians. The Palestinian authority would cry to the world and the media would feed on that opportunity for days if not weeks, finding enough evidence to validate their hatred of the Jewish state. Around the same time, the world was shaken by a serious earthquake claiming over 410 lives in Ecuador and injuring over 2,500 people. Additionally, Japan was also hit by a 7.3 earthquake just a few days prior to Ecuador. Forty-four people died and over a thousand were injured, not to mention the tremendous tolls on both economies and the tens of thousands of people left without homes and/or basic resources. Once again, Israel sent help to both Japan and Ecuador almost immediately. Where was the Palestinian team in Ecuador, Japan, Haiti or any other area of the world where humanitarian aid was needed? Nowhere! I don’t expect Palestinians to go out of their way to help Israeli in a crisis situation (although it is always possible), but I expect Palestinians of good will to reach out to the world community and give a helping hand. Where were they? May 2016: UNESCO and Israel: Factual Truth or Fatal Lies? Most people have forgotten or didn’t even know that in October 2011, UNESCO recognized Palestine as their 195th member country. Back then, I warned that this would only open the door to more damage done against Israel and the Jewish people. There is no Palestinian culture, history, language, customs or even foods. All of the above are Arab, not Palestinian. An agency founded on peace and justice for all is endorsing terrorism and violence and is in the process of rewriting history. But this shouldn’t come as much of a surprise when we see that since 1978, UNESCO has selected November 29th as “International Day of Solidarity with the Palestinian People”, and, in what I see as another by-product of UNESCO’s historical revisionism of the last 40 years, they declared on April 15, 2016 that the Temple Mount, the holiest of Jewish sites had no Jewish connection. These moves not only delegitimize Israel and the Jewish people, but hey also embolden her enemies. All this is being done with absolutely no historical foundation, simply in an attempt to weaken Israel. If factual truth mattered, UNESCO would obviously admit that the Temple Mount existed centuries before Islam was even born in 610 CE. Archeological and historical evidence are here to prove it and it should be exactly what the United Nation Educational Scientific and Cultural Organization uses to determine the legitimacy of historical sites. June 2016: BDS and the Great Evangelical Divide! There are plenty of Evangelical denominations loving Israel such as the Southern Baptist Convention, the Calvary Chapel movement, the Assemblies of God and others. But, Israel has also been treated as a pariah by several mainline Evangelical groups for years. The Presbyterian Church USA (PC-USA) voted to divest from Motorola, HP and Caterpillar at their last General Assembly in 2014. Another denomination that isn’t necessarily known for its support of Israel is the United Methodist Church (UM). Possibly the largest mainline Protestant denomination, the UM have been struggling with their support for Israel in an age of social justice and political correctness. They already turned down two divestment proposals in 2012. Like the PC(USA) members, United Methodists are far from unanimous on their support for Israel. Many would rather see BDS being enforced. Yet, they recently suffered a major setback when all four proposed BDS resolutions were turned down at their May 2016 General Conference. It is clear that the BDS movement, while still a force to be reckoned with, isn’t equally embraced across the whole spectrum of all Christian denominations. We must also seek biblical/factual truth about the Middle East crisis, something that conferences like Christ at the Checkpoint and documents such as Kairos-Palestine are not interested in. I am also convinced that in due time all BDS proponents will suffer the curse of Genesis 12:3. For Part II, go here. I think Obama and Kerry summarized the entire year last week when they backed Palestinian occupancy. Jesus will make it right but until then we will have TRUMP. Trump has already expressed support for Israel like we have not seen in the past 8 years. Trump is no Jesus but his support for Israel is evident. Lets pray he keeps it that way.